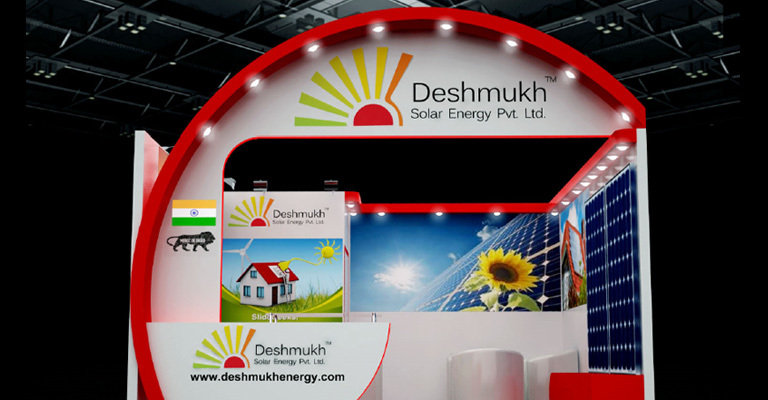 Inter Solar Europe | Deshmukh Solar Energy Pvt. Ltd.
We would be displaying the latest Technologies of Solar Module offered by Deshmukh Solar INDIA. And we would like to welcome our friends, customers and collaborators to visit us at our Booth A3/213 during this time frame. FactoryGat No- 104, vinchur Gavli Road,Opp. Adgaon Substatoin, Nashik-422 003, Maharashtra, India. Copyright © 2015 Deshmukh Solar Energy Pvt. Ltd.